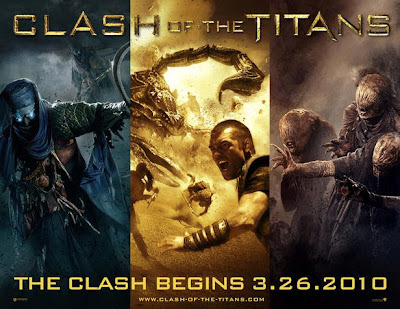 Finally the official posters for 2010's Clash of the Titans have been released and are shown below. 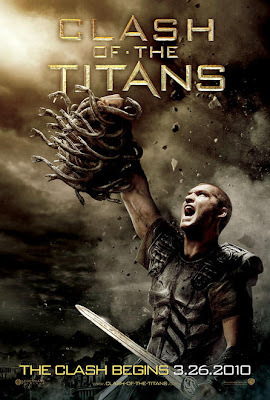 I'll admit to being overly excited about this film as I loved the original, along with Jason and the Argonauts and the old Sinbad movies... Classics. 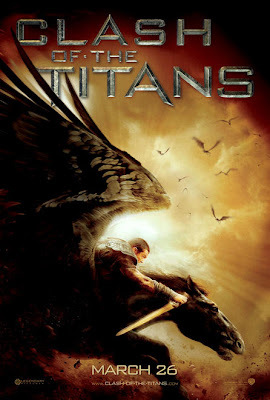 This looks set to be an epic, effects laden, mythical bonanza and could well become one of my favourite ever movies. Or it could be crap... We'll see.